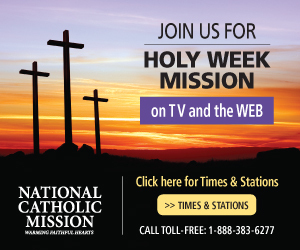 OTTAWA - The family of assassinated Pakistani Minorities Minister Shahbaz Bhatti remains committed to its Catholic faith and the fight to improve the plight of persecuted Christians. Though Bhatti’s family knew of the death threats their brother faced as an outspoken critic of Pakistan’s blasphemy law, his March 2 assassination still came as a shock, said his older brother Peter Bhatti, who lives in the Toronto area. The immediate reaction was a sense there is no place for us to live, and no hope, he said. Bhatti’s mother asked Peter and other family members to “please continue in his service and mission so our people will not lose their rights and be able to live in dignity and honour,” he said. OTTAWA - Pro-family groups are delighted to see a focus on family issues in the election campaign platforms of all three national parties. But some social conservative leaders have expressed disappointment that Stephen Harper refuses to reopen the debate on abortion or marriage even if the Conservatives win a majority. 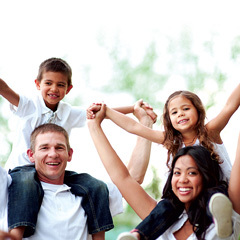 Past elections have seen the “odd snippet” of platform policy directed at family issues so it’s encouraging to see the major parties addressing family matters in this campaign, said Institute of Marriage and Family Canada (IMFC) executive director Dave Quist. “It’s good,” he said. “It’s time they looked at the foundation of our society and that is the family. 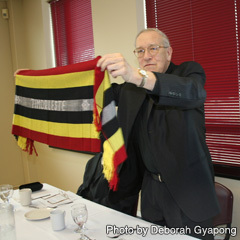 OTTAWA - A delegation with members from the Democratic Republic of the Congo, Zambia, East Timor and Sierra Leone have embarked on a tour of Ontario and Quebec cities to tell Canadian Catholics how much their nations have benefited from Canadian generosity. Among them was the president of the National Episcopal Conference of Congo, Tshumbe Bishop Nicolas Djomo, who spoke of the work the Canadian Catholic Organization for Development and Peace (D&P) has done in his country. “Development and Peace has been helping us a lot,” said Djomo, who spoke of the work the Canadian bishops’ development agency did first in addressing emergency needs in the aftermath of the country’s civil war, and now in helping the central African nation address justice and human rights, fair elections and concerns over mining. 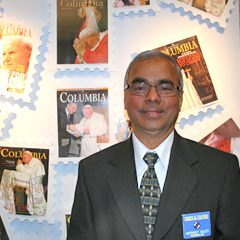 OTTAWA - Anthony Sales’ childhood passion for stamp collecting has become a “Philatelic Tribute to Pope John Paul II” that tells an astonishing story of the “pilgrim pope” in stamps from nations around the world. The exhibit had originally been slated for last October, and was moved to April before the beatification was announced. 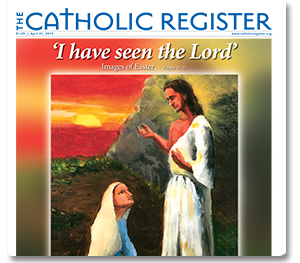 Sales described the late pope as “a man from Galilee” because when he spoke, Sales was reminded of accounts of St. Paul in Acts speaking to the people. OTTAWA - Ottawa Archbishop Terrence Prendergast, S.J. cancelled the weekend speaking engagements of a Mexican priest amid allegations that the priest's human rights organization was allied with groups that promote decriminalizing abortion. Fr. 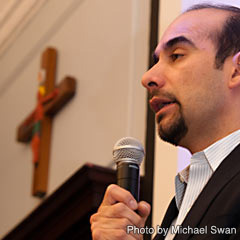 Luis Arriaga, director of the of the Miguel Pro Centre for Human Rights, was to visit several churches and meet with Ottawa priests and parish representatives of the Canadian Catholic Organization for Development and Peace to highlight D&P's overseas work. Last week a photograph was published online that showed Arrigia receiving an award alongside members of a Mexican pro-choic organization. Prendergast met with Arriaga upon the priest's arrival in Ottawa and, following a discussion with him and D&P representatives, cancelled Arriaga's appearances. MISSISSAUGA, Ont. 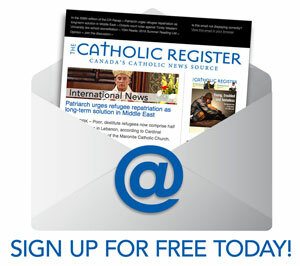 - Toronto Archbishop Thomas Collins has asked Canadians interested in joining a personal ordinariate for former Anglicans to signal their intention to join in writing by May 31. Though May 31 is not a deadline and Anglicans can commit to joining later, Collins said he wanted to provide the Congregation for the Doctrine of the Faith with an idea of preliminary numbers. OTTAWA - The reaction to the March 22 federal budget was muted among groups concerned about the family and the poor, with one group describing it as “ho hum." But the reaction may be moot, as all three Opposition parties have signaled they will not support it, which would trigger a spring election, likely in May. Gunn was disappointed that concerns raised in a recent interfaith declaration by church leaders on making poverty reduction and social housing a priority were not tackled in the budget. OTTAWA - Campaign Life Coalition has expressed disappointment at the Alberta bishops’ decision to forgo participation in the Edmonton March for Life. 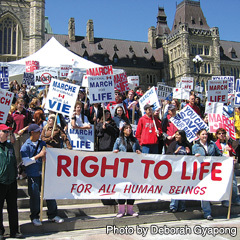 The march takes place May 12, the same day of the Campaign Life-run National March for Life in Ottawa. “They should be there, supporting, participating and leading,” said Mary Ellen Douglas. But she noted that the fact the Alberta bishops were also involved in organizing the march might have been part of the problem. A pro-life march is not a Catholic event, as such, so it should not be run by bishops, she said. OTTAWA - REAL Women of Canada has been granted leave to intervene before the Supreme Court of Canada in the Vancouver safe drug injection site case to be argued May 11. 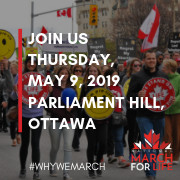 The pro-family, pro-life women’s organization is the only group among nine interveners that will argue on behalf of the federal government’s position that Ottawa has jurisdiction to control illegal drugs and that those laws should have a moral basis. The federal government is appealing a 2010 B.C. Court of Appeal ruling, which dismissed an earlier government appeal, to close InSite, the supervised safe-injection site in Vancouver. InSite opened in 2003 under a temporary exemption from national drug laws and offers drug addicts a place to inject drugs while connecting to health services. When the temporary exemption was set to expire, InSite went to the B.C. Supreme Court and won a permanent exemption. 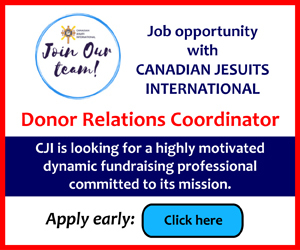 OTTAWA - The apparent disconnect between the Conservative government and CIDA public servants over funding of the ecumenical social justice group KAIROS may expose a much deeper underlying issue about overseas development. “It would be helpful if the real reasons were put on the table,” said KAIROS executive director Mary Corkery March 18 after she testified before the House of Commons procedure and house affairs committee. 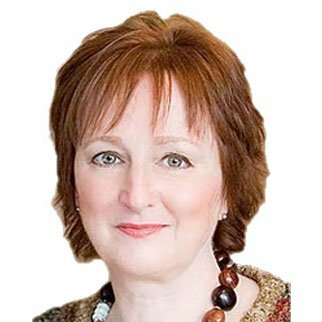 Corkery’s testimony followed a two-hour grilling of CIDA Minister Bev Oda on whether she had deliberately misled the House of Commons. Oda changed the recommendation to grant funding to KAIROS after CIDA officials had given their approval.